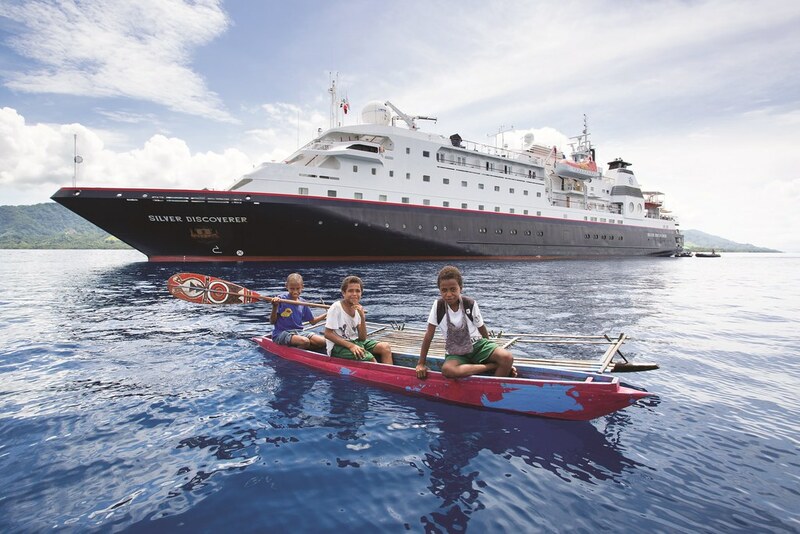 Intrepid explorers and curious adventurers will be in awe of the deeply immersive onshore experiences as they journey through the South Pacific. Guests will travel on board Silver Discoverer, the epitome of expedition sailing, featuring all ocean view suites, butler service, 12 Zodiac®s and a highly qualified and passionate expedition team. Each sailing features captivating shore excursions lead by expert guides and lecturers, enabling guests to truly understand and experience the culture and history of the ports visited. V9813: Guests will depart Port Vila, Vanuatu on 07 June, 2018 on a 15-day voyage to Cairns. Highlights of this voyage include: witnessing Pentecost men dive head first from a platform onto the bare earth in celebration of the Yam harvest in Vanuatu; swimming and snorkelling in a small uplifted coral platform in Aniwa Vanuatu; and the Rum Distillery Experience in Bundaberg, Australia. Cruise fares start from AUD$18,100 per person, based on double occupancy in an Explorer Suite. Guests booking by 31 March 2018, will enjoy reduced airfares in Business Class or Free Economy Class Air Roundtrip; pre and post hotel and; transfers on selected voyages. Single Supplement fares are also available on this voyage. V9814: Departing Cairns on 22 June 2018, guests will enjoy a 17-day voyage to Darwin. Highlights include: exploring the Kwapurina Fjord in Kafure by canoe; a forest walk in Tuam, Papua New Guinea; discovering Cenderawasih Marine Park in Auri Islands, Indonesia and snorkelling in Triton Bay, Indonesia known for its marine biodiversity. Cruise fares start from AUD$21,000 per person, based on double occupancy in an Explorer Suite. Guests booking by 31 March 2018 will enjoy Business Class Air Upgrade for just AUD$1,395 or Free Economy Class Air roundtrip on selected voyages. Last Minute Savings: Guests booking before 15 May, 2018 will receive a one-category suite upgrade and an onboard credit of US$1,000 per suite on selected voyages. Expedition All Inclusive: Guests booking before 31 March, 2018 will receive: reduced airfares in Business Class or free Economy Class Air Roundtrip; free pre and post hotel and; free transfers** on selected voyages. Single Supplement: Solo travellers can enjoy single Supplement fares starting at only 25% on selected voyages. Kimberley Air: Guests booking before 31 March, 2018 will receive Roundtrip Economy Class Air or can upgrade to Business Class for just AUD$1,395 per person on selected voyages.